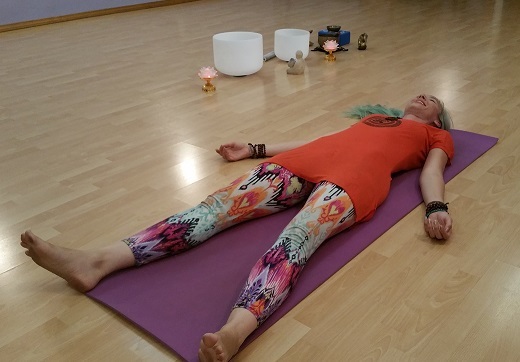 The end of class will always conclude with Savasana (shah-VAHS-anna) or Corpse Pose. This is a simple supine position, laying flat on your back with the back of your hands resting on the floor about 6-12 inches away from your hips. Give your body permission to completely rest. This closing asana (pose) is a way that you get to re-set yourself after twisting, squeezing and breathing your body free of stress and toxins. It is similar to a control/alt/delete on your computer, rebooting yourself so areas where you were stuck and maybe frozen, now have movement and your overall operating system will run better! If you are not comfortable laying on your back, you have a few options: You can try a bolster under your knees to support any low back pain, or you can bend your knees and put your feet on the floor hip distance apart. You can also try legs up the wall. 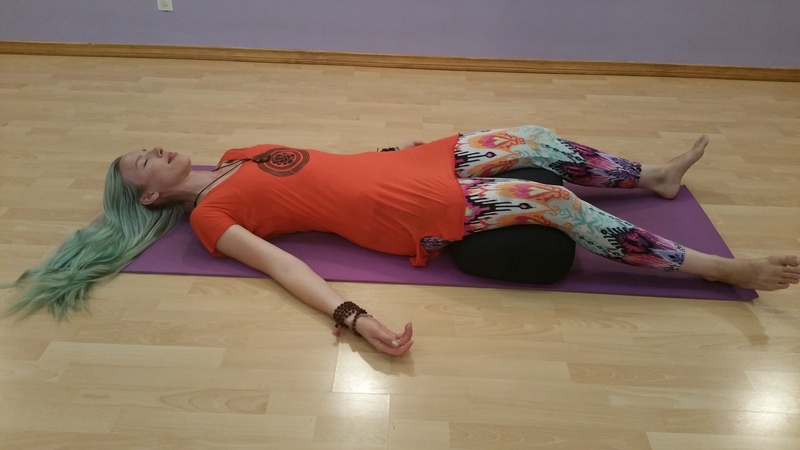 An additional option to close your class is the fetal pose, curled up on your side. All of these would work for a restful Savasana. Note: In prenatal yoga classes, students should not lie flat on their back after their 4th month of pregnancy.